The colorless and transparent hot water is known for gently moistening your skin. Please enjoy the Sarugakyo-Onsen hot spring water in our indoor single gender baths (1 each for male and female) and 2 private baths. Half of the indoor bathtub floor is covered by river washed stones (both male and female baths). These stones are real stones from the Nishi-river flowing locally in the Sarugakyo area. The stones create a unique texture and massage your feet. Both the hot spring water and the river washed stones will heal your everyday exhaustion. Our rock outdoor bath is located on a stone wall made of massive rocks cut out from the Omine mountain to the east. Please enjoy the hot spring with a view of garden trees. We built the Asahi (sunrise) private bath in the image of the dawn of the Omine mountain to the east. This private bath is made of cypress boards. No in-advance reservation is needed; please use this private bath whenever you like as long as the bath is vacant/unlocked. We built the Yuhi (sunset) private bath in the image of twilight in Sarugakyo; the beautiful cardinal red sunlight disappears behind Mikuni mountain. The bathtub is made of stone tiles, and the walls and floors are made of cypress boards. The old Mikuni Road was connecting Edo (old name of Tokyo) and Niigata. 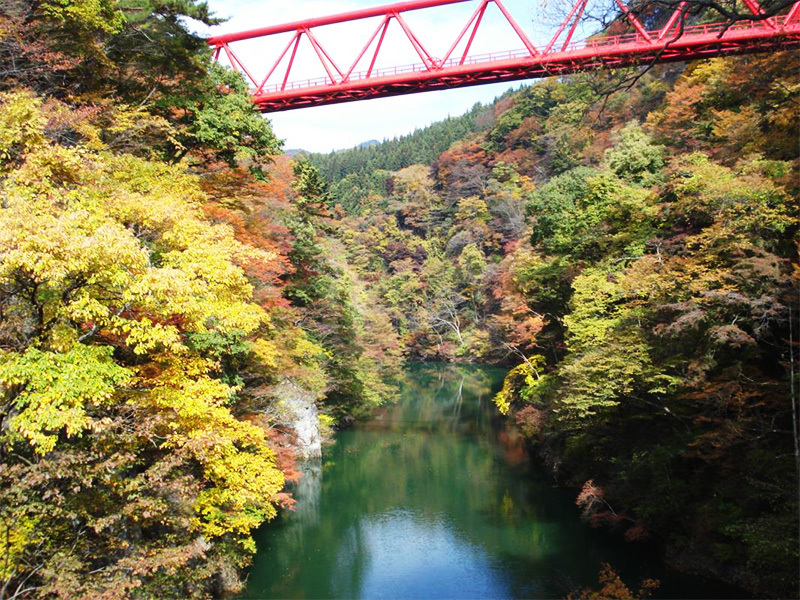 The Mikuni pass is the most difficult part of the road, and Sasa-no-yu/Yujima hot spring was developed at the foot of the pass. 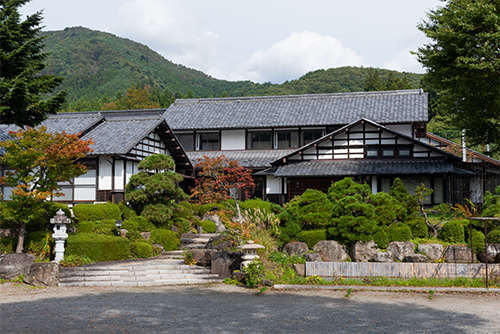 The hot spring was relocated to the lake-side and renamed to Sarugakyo Onsen hot spring when the manmade lake, Akaya-ko was created in 1958.